This mermaid themed slot game is powered by none other than Playtech. 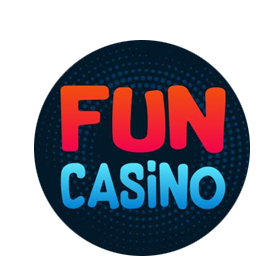 It has a fairly standard slot game formation with 5 reels and 20 paylines. When you launch the game, you will find a beautiful setting where you will find coral reefs, sharks, fish, oyster shells, pearls, crabs and more. If you are looking for an underwater adventure, then look no further than Charms of the Sea. 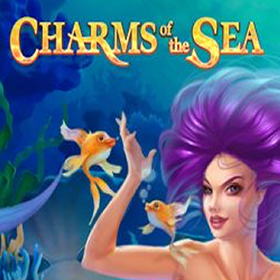 This mermaid themed slot game is powered by none other than Playtech. It has a fairly standard slot game formation with 5 reels and 20 paylines. It’s also suitable for any kind of wagerer, as you can spin from as little as 20p – up to £500 if you are a bit of a high-roller. 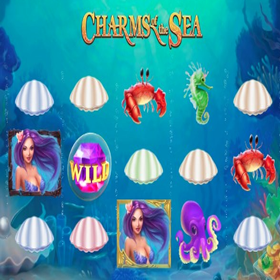 The great thing about the Charms of the Sea slot is that it’s not only available on desktop, but on mobile devices too. When you launch the game, you will find a beautiful setting where you will find coral reefs, sharks, fish, oyster shells, pearls, crabs and more. There is a wild symbol – which happens to be the pink gem stone. This will replace all other symbols apart from the mermaid symbol giving you a great chance to create some winning combinations. This is also the most lucrative symbol on the game and will award you a massive 500 times your bet if you get 5 on an active payline. The most important symbol, however – is the mermaid symbol. If you find 2 or 3 mermaids landing on reels adjacent to one another from reel 1, and one of them has a silver frame – you will see all of the mermaids expand to 2×1 its size – giving you the chance to scoop bigger wins. If you find 3 or 4 mermaids on adjacent reels from reel one – with at least one of the symbols having a silver fame, then the mermaid will expand to 2×2 it’s size, giving you the chance for even more wins. Should you find 4 mermaid symbols on adjacent reels rom reel one, with 2 having gold frames – all of the mermaids will expand and leave you with a huge 5×3 symbol which will cover a whole reel. This will leave you with a prize of a huge 250x your bet. There are more wild features to look forward to on the Charms of the Sea slot. With the stacked wilds feature, this can be triggered at random and you will see a ray of light move across your reels. It will select one, and in turn create a wild reel. The reel will stay in place, and you will then get a re-spin. With the wild chunks feature, this is also randomly triggered. Here you will see a fortune reel that will land on a number of wilds you have won (which could be up to 9). They are then added to the centre 3 reels as a 2×1, 2×2, 2×3 or 3×3 block. If you are lucky, you could have 3 wild reels. Then there is the sticky wilds feature. Again, this is triggered at random. Here you will find that there will be 3 wilds added to your centre 3 reels. They will stay in place, and you will get a re-spin. In your re-spin – another 3 wilds will be added. If you are looking for a fast-paced, action-packed game – then Charms of the Sea is one to try out. 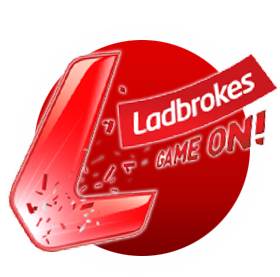 You can play this slot machine game and 100s more like it at Ladbrokes Games. Joining is easy and only takes two minutes, plus new customers get a Welcome Bonus.